Also new, but not a new favourite, are these Ryvita beetroot crackers and carrot-cumin crackers. I wanted them to be new favourites but, alas, the texture and flavours didn't seem quite right. I much preferred the beetroot crackers I shared last month (although the Ryvita version is more economical). The flavours here were subtle and the cracker texture a bit dry for my liking. Happily, I was recently able to get some much loved treats from Whole Foods. I wove through central London last week and took the opportunity to pick up dairy free carob bars and the Vego bars that blend dairy free chocolate with whole hazelnuts. I adore both. 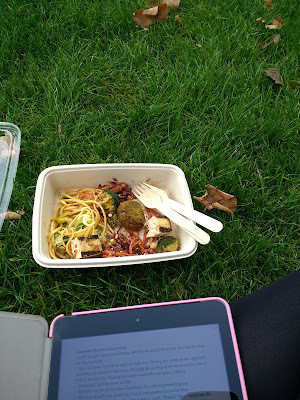 Whilst not in my kitchen per se, my London visit also allowed for a Whole Foods salad bar mix and a taste of the vegan Pret a Manger brownie, plus their new vegan friendly pumpkin spice latte. I didn't love the brownie (it had a gooey centre that didn't work for me) but the latte was enjoyable. Eating lunch in the sunshine in Green Park was enjoyable too. 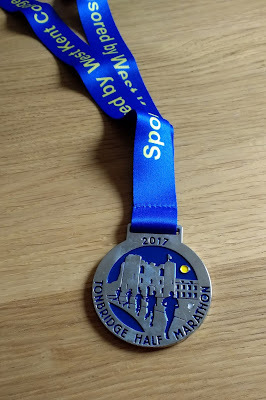 Last but not least, in my kitchen is a medal from today's Tonbridge half marathon. As mentioned in a previous post, this is my first half in two years and post-baby. I was pleased to discover that, despite less training and a more chaotic preparation schedule (courtesy of life with a toddler), my body remembered how to run the distance and I made it around in my second fastest time. Either that or I am now so used to functioning on little sleep and sub-par energy that my endurance has benefited! Keeping up your time on the half marathon is a really impressive accomplishment! You deserve all those candy bars. Thanks Sherry :-) I think childhood memories are always bigger but can believe they've been genuinely shrinking too! Congrats on your achievement. Bakewell Naks bars are quite nice, I was impressed. the vego bars are quite luxurious having had one in the past. congrats on the marathon - I am impressed - right now it seems a run out to the post box would be an effort (it is night and I am tired). So the cocoa coconut bar has actually dessicated coconut in it - if so I am in! 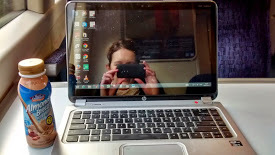 And I am sad about the ryvita biscuits - the beetroot excited me but I have never been a ryvita type of girl. And lunch in Green Park sounds really lovely. They do indeed have dessicated coconut, to my delight. If you don't like Ryvita you may actually like these crackers as they are very different to usual Ryvita. I actually like the original texture, although find them a bit bland plain, but these are more like a cream cracker texture. Congrats on the half marathon!!! That is so awesome! Those beetroot crackers look good so that's disappointing - though I probably couldn't' find them here in the states anyway. I've always wanted to visit London, someday soon I hope! Congrats on the marathon completion. I can't run round the block. I love your treats - always fun to see what you can buy elsewhere. I wish beetroot flavoured Ryvita would make it here. Maybe one day! I think the cracker market in Australia is bigger than here (although that sounds a funny thing to write) so in theory they ought to reach you. Beetroot crackers - they're new to me! High fives on your half marathon accomplishment; chasing a toddler has kept you n shape! 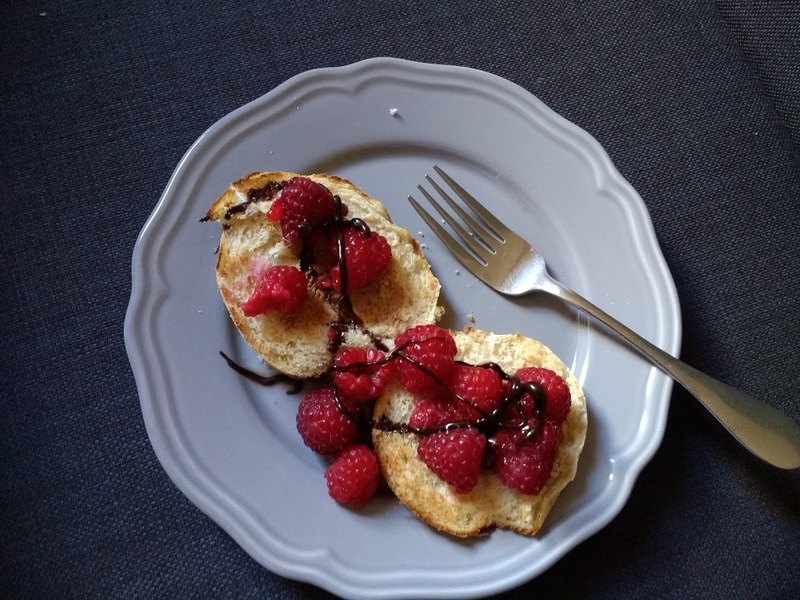 Your sweet English muffin toppers look so delicious, I'll forego my usual slice of cheese and try almond butter/berries/chocolate sauce immediately. Thanks for stopping by, and yes, chasing a toddler does do wonders for keeping you fit! Kari, I think you're onto something with "toddler induced endurance" contributing to your race time. Way to go on that medal! I enjoy your product reviews and was glad to hear you found a new favorite. Loved your picnic in the park and your almond butter & raspberry dish, too! Some great things in your kitchen this month. is that a strawberry sandwich? i'm drooling!